When it comes to the emissions reductions, the Europeans are a step ahead of Australia. Already operating under Euro 6 emission levels, which have been in place since 2014, FPT Industrial, a division of the giant CNH Industrial group, has upped the ante with its new natural gas engine. 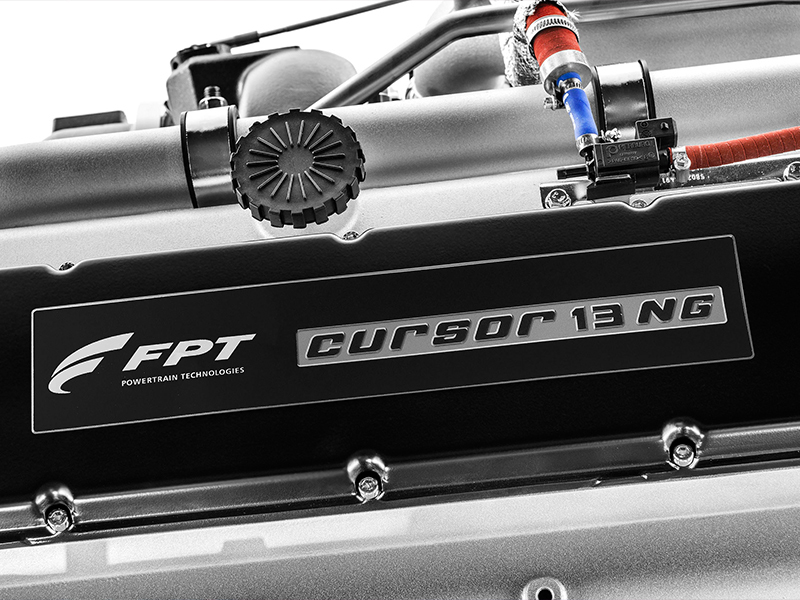 Launched during a "magical" Tech Day at FPT Industrial headquarters in Turin, Italy on October 30, the Cursor 13 NG engine boasts up to 460hp at 1900rpm and torque up to 2000Nm at 1100rpm. Its obvious home for long-haul runs is the Iveco Stralis in which it has already undergone extensive trials. FPT Industrial unleashed its first NG heavy duty engine in the 1990s. 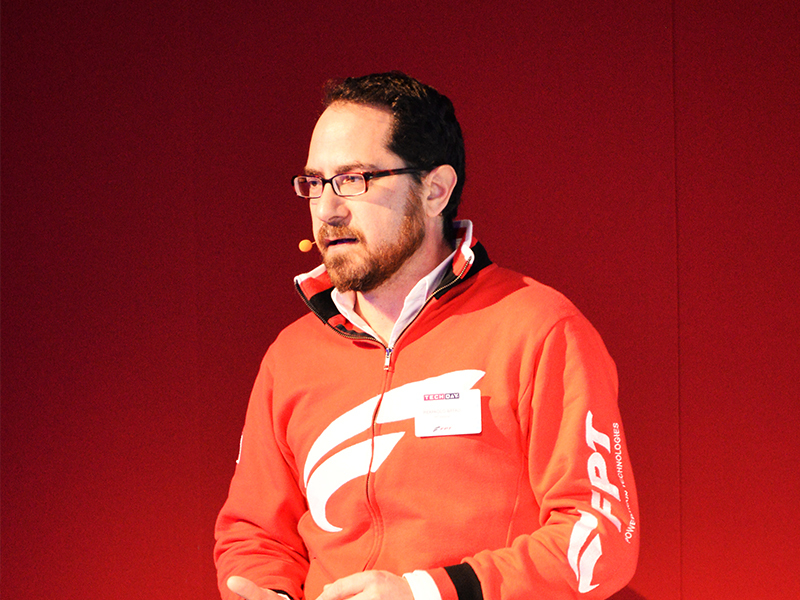 It was a time when "ecology was not so trendy as it is today", according to FPT product manager Oscar Baroncelli. Since then, FPT has produced more than 30,000 gas engines. "We began the experimentation of CNG in ’95, and two years after that we started the industrial production of the first two engines," Baroncelli says. Those two engines were the 2.8 litre 4-cylinder 8149 delivering 105hp, and the 6-cylinder 9.5 litre 8469 with 306hp. In 2004 FPT launched a medium-powered duty engine, the new generation of natural gas 6-cylinder engines 200hp. "That made us the first manufacturer to offer a complete range of natural gas engine for the on-road missions," Baroncelli continues. "In 2016, we made a breakthrough in the world of transport, introducing a real game changer, the Cursor 9 natural gas, offering the same savings opportunities as before, but with added value of the diesel-like performances. "Cursor 9 was the first natural gas engine to reach the performance target of 400hp with the AMT transmission." Early in October, FPT launched the new F1C 3.0 litre natural gas, the first to be coupled with the 8-speed fully automatic transmission. 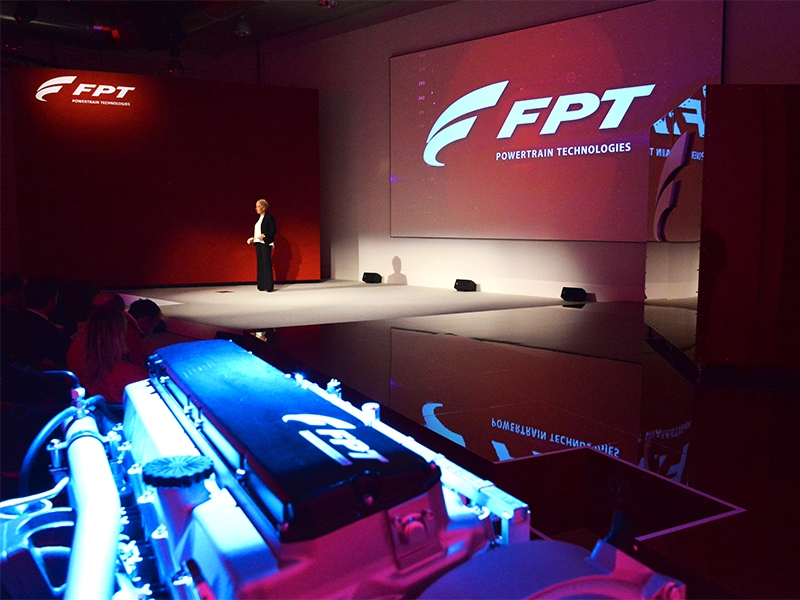 Baroncelli says, with its new flagship Cursor 13 NG, FPT now offers three product families and five motors covering 136 up to 460hp, the company has engines to suit urban roads as well as European motorways. "We are actually the only worldwide player in the market to offer an equivalent natural gas engine for each family," Baroncelli states. But why natural gas? In Australia, the lean towards gas-powered trucks has cooled to say the least. However, FPT says there is a strong market in Europe, especially among environmentally-conscious customers. "It is a fossil fuel, but it can be also made available as a renewable source," Baroncelli continues. It cites natural gas having the lowest greenhouse impact among all the combustion engines, while its CO2 emissions are close to zero when using biomethane. He stresses the point that, unlike FPT products, not all natural gas engines are fully biomethane-compatible. "This benchmark is about pollutant emissions and once again it confirms the eco-friendliness of the natural gas engine," Baroncelli says. 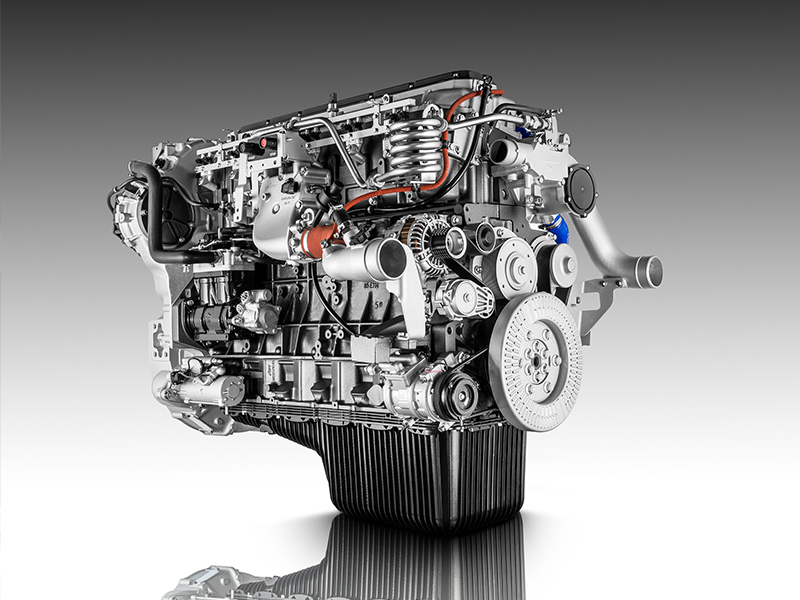 "Compared to the equivalent Cursor 460hp diesel that has already has emission limits lower than Euro 6, our natural gas engine cuts particulate matter by 98 per cent and reduces NOX by 48 percent. "Based on that, with this double digit emission reduction, we are ahead of today’s emission requirement. "But of course a vehicle fleet owner must keep into consideration also the economics of the vehicle technology, and here is where we have very interesting facts in support of natural gas. "The price of the fuel is far lower than the diesel, and as a consequence of it, the cost per kilometre of a gas-fuelled vehicle is very competitive. "Other contributions for running costs reduction comes from low maintenance intervals of the system, the full life after treatment system and the well proven reliability of the entire solution that, let’s not forget, has been profitably used for more than 20 years. 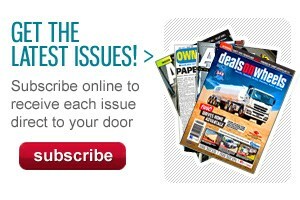 "These are facts and have been confirmed by hundreds of thousands of natural gas engine early buyers." He adds that among all the technologies considered as an alternative to oil, only natural gas has completed the warm-up phase and achieved a steady market growth. With the core of the European long-haul truck segment operating between 430 and 480hp, FPT made the decision to aim for the middle ground of 460hp. "It represents the best trade-off between performance and cost efficiency," Baroncelli explains. "Taking all of Europe as an example, this power output represents more than 50 per cent of the long-haul registration. "By the way, this is the same distribution available all over the world." 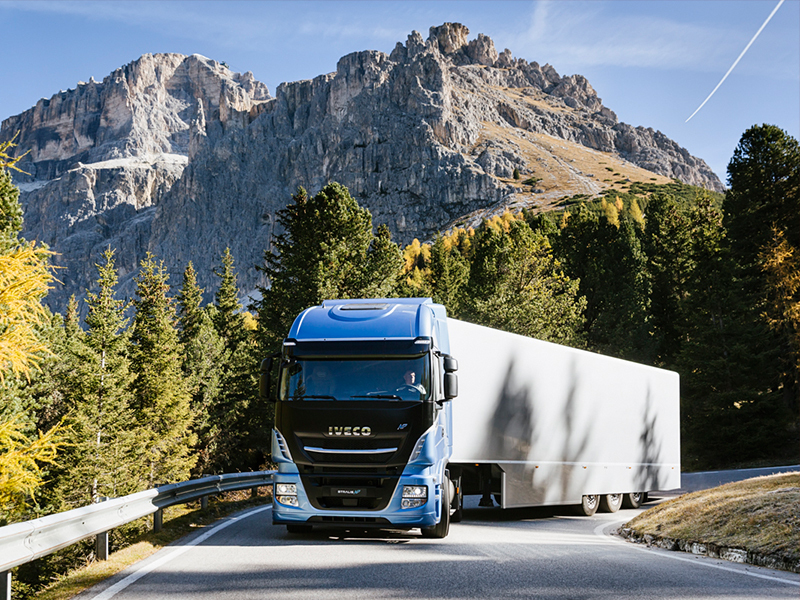 Other plusses proclaimed include a 35 percent reduction in truck generated noise, and the less number of stops for refuelling compared to dual-fuel configurations. "It is well proven and high durable, and with the small package it allows us to install large fuel tanks. "Thanks to this, on a new Iveco Stralis 460 natural gas, we have managed to reach a maximum autonomy range of more than 1500km." Despite its eco-friendly attributes, FPT admitted it needed to also satisfy the business needs of its customers. Hence, diesel was the obvious benchmark when producing its line of natural gas engines. Pierpaolo Biffali, FPT’s Industrial head of product engineering, says to make natural gas appealing, it needed to provide performance, reliability and total cost of ownership, equivalent to diesel, or possibly better. This is despite a gas-powered Stralis to cost around €40,000 ($60,000) more than its diesel equivalent. "At the beginning of the study, we were in front of two technical alternatives," Biffali explains. "The choice was between a typical compression ignition like diesel engines or a spark ignition with stoichiometric cycle process." Biffali says FPT’s eco-friendly taskforce chose the latter, a technology which it has used since 1995. The stoichiometric cycle can work with gas only, while the diesel cycle requires a certain amount of diesel fuel to ignite. Additionally, the stoichiometric cycle’s key ignition technology is a three-way catalyst for emissions control, instead of emission technologies typical of diesel such as EGR (exhaust gas recirculation), DPF (diesel particulate filter) and SCR (selective catalytic reduction). "So the advantage of the single fuel technology is one fuel instead of two, one tank instead of three, and one emission technology instead of four," Biffali continues. "The 100 per cent natural gas technology therefore offers quite a solution. Stoichiometric combustion generates less noise, and the lighter and more compact solution means old devices that are not needed are not there." "On the other hand, the stoichiometric choice poses some tough technical challenges that we had to face. "First is the high temperature management. Stoichiometric cycle for natural gas burns at a temperature much higher compared to diesel." Following intensive research, the company looked at the engine exhaust line. The solution included a nickel-resist cast-iron exhaust manifold, water cooled turbocharger and compacted graphite iron (CGI) cylinder head. Biffali says the cylinder head’s thin walls effectively release heat from the combustion chamber. As far as efficiency and durability was concerned, he explains that the three-way catalyst brings an edge to the engine’s performance. Using the precise closed loop control ensures catalyst efficiency, allowing it to always operate in a narrow band of air-to-fuel ratio. In addition, system’s temperature is monitored to prevent the catalyst from thermal stress. This in turn achieves the required durability. "So, of course, one emission technology is better than four, and that translates to compactness, lightness and simplicity of the system," Biffali says. "And for a long distance vehicle, a compact package means more room for the gas tanks and more range autonomy. 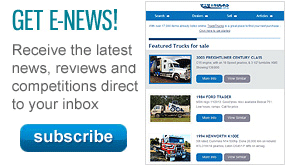 A lighter system means more payload available for the truck." However, FPT’s third and main focus was the combustion of the Cursor 13 NG engine. "We opted for the Cursor natural gas to supply all the cylinders with an even distribution of air-to-fuel mixture among all cylinders," Biffali says. "And to respond to requests for more power, we have introduced new injectors to manage the high fuel flow rate that the engine is requesting." He says these features all allow for very high performance, while at the same time optimising fuel consumption. "For the combustion management, one more key factor is the coupling of the engine with the transmission system," Biffali continues. He says with the automated manual transmission (AMT), it offers more timely change of gears, resulting in driving comfort and vehicle agility, which also results in substantial fuel savings for the customer. 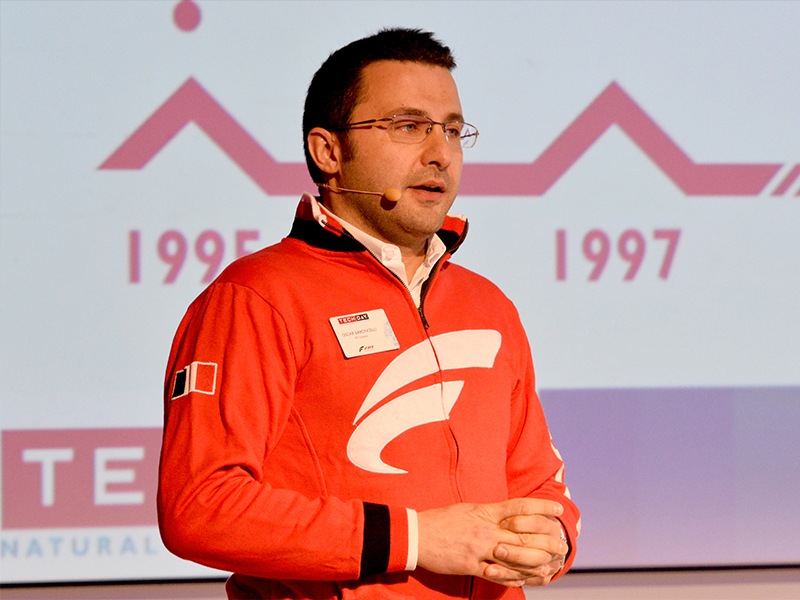 Another issue that has been overcome is engine knocking which Biffali says is a problem of a combustion engine running with a stoichiometric cycle, affecting not only fuel consumption and performance but also the ability of the combustion chamber components and the after treatment system. Biffali says FPT developed a system that can detect and prevent misfire through a cycle-by-cycle combustion adjustment, similar to that used in high performance cars. "It is does not require a dedicated NOx sensor and is always reliable and effective," he says. ‘Magic’ and ‘imagination’ were the words repeated frequently during the 460hp Cursor 13 NG engine launch in Turin. Annalisa Stupenengo, FPT Industrial brand president since June 2015, stating that "in the last two years I’ve had the opportunity to experience how each of our more than 8,000 employees transform the value of our imagination into a complete vision of the future". Oscar Baroncelli was equally animated, saying that the new technology has allowed nature to enter the world of transport. "We expect many customers will be attracted by this eco-friendly power and we expect them to experience the magic of a natural drive. "Natural gas today is the path that leads to a sustainable future," Baroncelli says. "Let’s not miss the opportunity; let the magic be now." However, it may take some time for that Cursor 13 NG magic to arrive on Australian shores. The current low price of diesel has caused interest to wane in natural gas-powered vehicles here in recent years. But don’t count it out just yet.